It’s something I’m sure we’ve all already seen, but, apparently this could go on for YEARS, not months, YEARS… looks like the Wall will stand strong, at least for 2010. 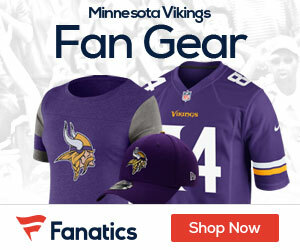 Minnesota Vikings defensive tackles Kevin Williams and Pat Williams had an appeal filed on their behalf Tuesday, the Minneapolis Star Tribune reported, so their four-game suspensions by the NFL again are on hold. Hennepin County District Judge Gary Larson ruled May 6 that the NFL violated Minnesota labor law by not giving the players timely notice of their failed drug tests two years ago. However, he also said that they weren’t harmed by the league’s actions and didn’t suffer damages. The players then asked Larson to continue the stay of the suspensions, and he agreed last week, pending their appeal and posting $10,000 bond. The Minnesota Court of Appeals will hear the case next, and the process could take a few months, according to the Star Tribune. Another appeal after that might extend the case beyond the Vikings’ 2010 schedule, meaning the Williamses could play for a second consecutive season despite the suspensions. The NFL first tried to suspend the Williamses, who aren’t related, in 2008 after they tested positive for a banned diuretic that was in the StarCaps weight-loss supplement they were taking. The ingredient, bumetanide, can mask the presence of steroids. The Williamses weren’t accused of taking steroids and said they didn’t know the diuretic was in the supplement. Larson said last week that the NFL knew StarCaps contained bumetanide and withheld that information from players. The NFL already has asked the U.S. Supreme Court to overturn a decision that allowed the Williamses to challenge their suspensions in the first place. The league says its collective bargaining agreement with the players’ union protects its drug policy from lawsuits in state courts, and it wants the case settled on the federal level. The NFL and other sports leagues contend that their drug-testing programs would be at risk if state-level challenges like the Williamses’ were allowed to proceed. Major League Baseball, the National Basketball Association and the National Hockey League all support of the NFL’s position. New Orleans Saints defensive end Will Smith and former teammate Charles Grant tested positive for the same substance, but they weren’t involved in the Minnesota lawsuit. The NFL has held off on enforcing their four-game suspensions until the Minnesota case is resolved. Grant is a free agent after being released by the Saints. uh oh, what’d I do this time?